Dunlavin Inn will have an outing to Rathsallagh Golf Club on May 12th at 11.20. New members welcome. The annual general meeting of the Forum takes place on May 14th at 8pm in Scoil Nicholas Naofa. Please show your support. Michael Harding, bestselling author of ‘Talking to Strangers’ and ‘Hanging with the Elephant’ will be in Blessington Library on Friday the 11th May at 8pm discussing his latest memoir ‘On Tuesdays i’m a Buddhist’. Booking is not essential so please come along and join Michael as he discusses his contemplation of the differences between psychotherapy and religion in an honest and funny open conversation. Rose Barrett O’ Donoghue, local journalist and Ballymore resident will be in conversation with Julie Parsons author of ‘Mary, Mary’ and ‘The Therapy House’ in Blessington Library on Saturday 12th May at 2.30pm. Julie is the winner of the 2017 Irish Independent crime novel of the year. Julie will also be launching Blessington Library’s Crime Book Club. All welcome. The culture bus will leave Dunlavin on May 12th at 10 am to visit Airfield Estate, Dundrum and the Women 4 Women art exhibition in the Municipal Gallery, Dun Laoghaire and walk about Dun Laoighaire before leaving for home at 6pm. If you wish to travel please contact 0879693960. A social dance will take place in aid of Hollywood Senior Citizens on May 19th in Hollywood Hall. Music by Images. Dancing 9.30 to 12. admission €10. All welcome. Sympathy is extended to the family of Mary O’ Neill ,Church Terrace who died suddenly last week Mary who was predeceased by her husband Sean and son John is mourned by her partner Larry, sons Donal, Thomas, Terry, Eugene, Gerard, daughters Marie, Ann and Imelda, and many relatives and friends. Mary’s funeral took place in Dunlavin on Tuesday April 24th 2018. May Mary rest in peace. Race Night – a race night in aid of Anthony Doran (son of Kathleen & Tommy Doran) will be held in Burkes pub on May 26th from 9pm. Horses are on sale at €10 from Bridgid Joyce, Jimmy Whittle or the Parish office. Please support! Poetry & Prose – To help & encourage creativity in the West Wicklow community, Blessington Library is hosting a number of exciting workshops and readings in the coming weeks as part of our Way with Words series. Contact Blessington Library for more information at 045-891740. It has come to the time of year for our Annual General Meeting. Dunlavin & District Forum plays an instrumental part in the fabric of our community and we strive to bring improvements to our community and build upon the great work previously done. 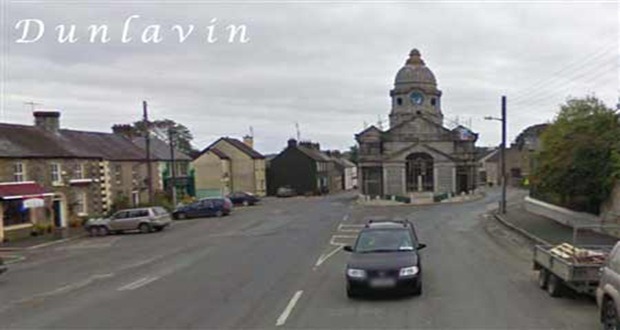 Dunlavin & District Forum can only benefit from having an input from a wide and varied group of people, representing all sectors of our community and to this end we now seek nominations for the committee of Dunlavin & District Forum for 2018-2019. Please complete your nominations and return to me on or before Friday, May 4th 2018. The next meeting will take place in Seomra in the Imaal Hall Saturday May 5th at 12,30. All welcome. This years festival takes place on June 15th to 17th. The festival will be officially opened by popular horse trainer Jessica Harrington.